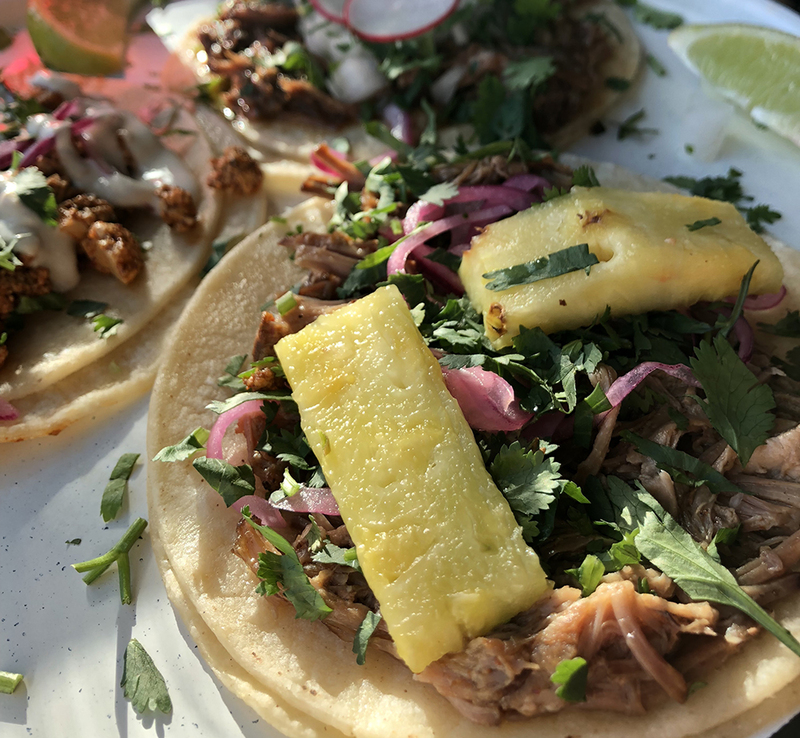 Perched on the corner of Fraser Highway and 64th avenue–smack dab in the middle Cloverdale’s burgeoning Clayton neighbourhood–sits Hugo’s Mexican Kitchen. It’s a bustling spot, and as growing millennial families make their way back from the city to the ‘burbs, it’s only getting busier. 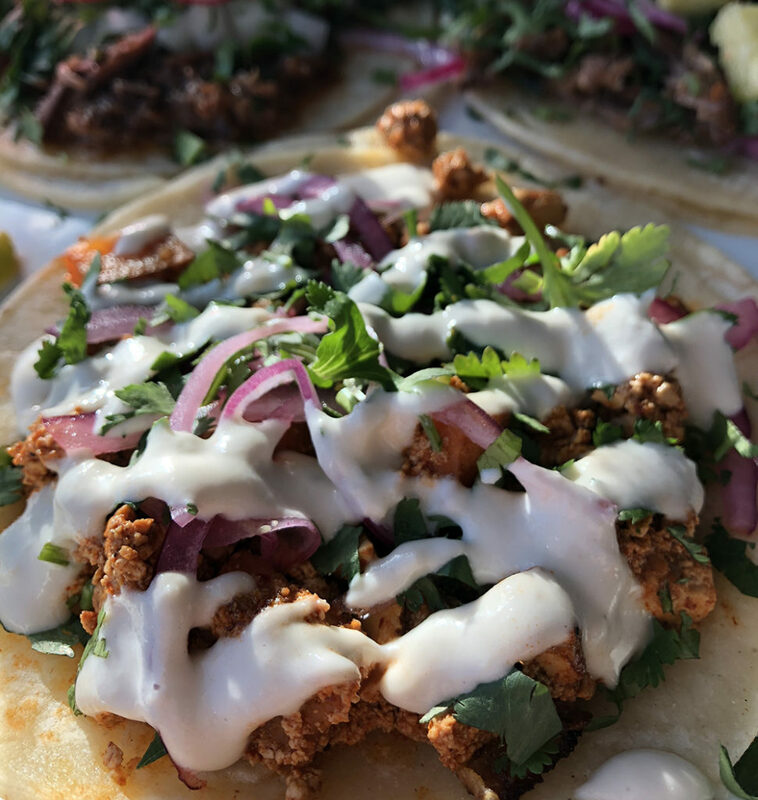 Hugo’s Mexican Kitchen opened their Cloverdale doors in June of this year and they were welcomed with an overwhelmingly positive community response. Pork, beef, and vegan tacos with hibiscus iced tea. Hugo’s may be the new restaurant in town, but the roots of this operation go way back. The Garcia family immigrated from Mexico to Canada in 2002, and after settling down in Chilliwack, it was very obvious that they weren’t in Kansas anymore. 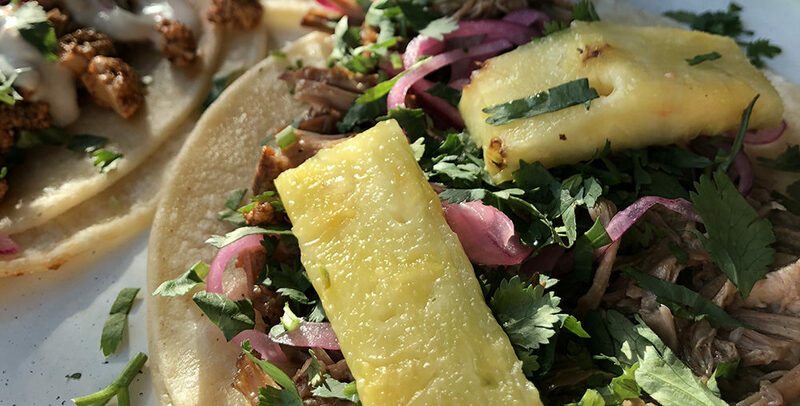 Instead of searching for the flavours of home, the Garcia’s brought home to the Fraser Valley, opening up a food trailer in 2011 called El Pueblito, and later graduating to a larger space in a local gas station. Hugo’s has made quite the impression on Chilliwack locals, and since opening up their first location, the Garcia family (Hugo Garcia, sons Dan and Josh, and the matriarch running day-to-day operations) has expanded across the lower mainland: opening up the Instagram-worthy, sweet-tooth favouring Hugo’s Tacos & Churros at the McArthurGlen Designer Outlet and most recently, Hugo’s Mexican Kitchen in Cloverdale. The vibe at Hugo’s is trendy but warm. 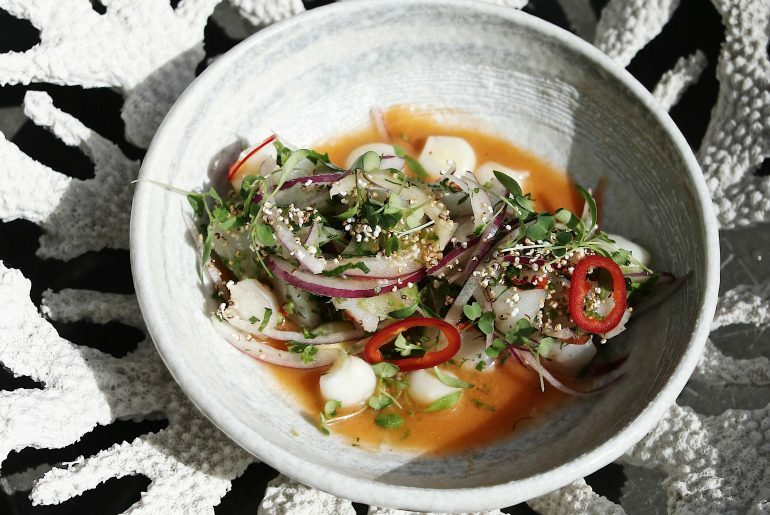 The decor, helmed by owner Josh Garcia, is chic and minimalist and most definitely not kitschy; a smart move for an intimate space. On a nice day, the dining room is sun-drenched, exposing the subtle Mexico City inspired details. The menu, while still growing, is bursting with options for varying palates and dietary restrictions. After munching on tortilla chips and a trio of house salsas to start, Muschamp recommends the queso fundido ($12.75); a sizzling pot of cheese, grilled onions, tofu chorizo, and a side of tortillas. Moving onto the mains, tacos of course are the star of the show. I opted for the beef barbacoa, pork carnitas, and tofu chorizo (a vegan option! ); $6 each or mix and match three tacos for $15. Both the beef barbacoa taco and the pork carnitas tacos (best enjoyed with the house salsa verde!) are fashioned with fresh ingredients and perfectly braised meat. The tofu chorizo, however, is surprise and delight. Topped with cashew cream, pickled onions and fried potatoes, this is guilt-free faux meat dish could fool any carnivore. This tofu “chorizo” taco is completely vegan. 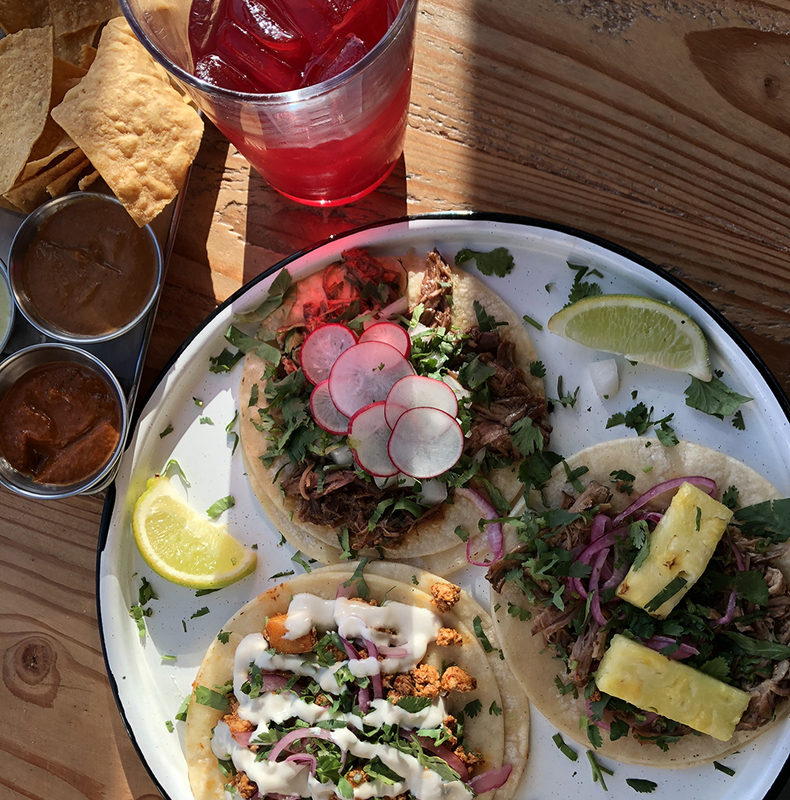 If you’re not in the mood for tacos (but like, why wouldn’t you be?) Hugo’s offers a large selection of main items. The Hugo’s bowl, which Muschamp aptly calls a burrito without the tortilla (vegan options also available for this one! ); $14.75, and Taco Loco, a massive burrito/chimichanga love-child, are beloved amongst locals. “The Taco Loco is a big fan favourite. It’s basically a deep fried burrito, and it comes out with lettuce, pico de gallo, crema and queso on top,” adds Muschamp. The drink menu doesn’t disappoint either. Hugo’s selection of local draught beers and cocktails were certainly calling my name, but I opted for the Jamaica Iced Tea: Muschamp’s own refreshing and delightful concoction of housemade cold brew hibiscus tea and simple syrup. For dessert, the churro, served with a pot of dulce de leche, is a no-brainer.